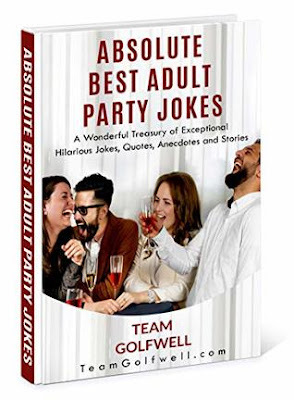 Absolute Best Adult Party Jokes is a collection of jokes, funny stories, quotations and, occasionally, some wise words. It would be a handy resource for anyone needing to spice up a presentation, add some lightheartedness to a best man speech or just get a laugh at a party. The alphabetical list of topics helps the reader to find the right story for the right audience or occasion. Most can be told in mixed company but a word of warning some are borderline, and some are simply grim humour. It would make a great Christmas present of a gift for yourself to enjoy a chuckle over the holiday period.